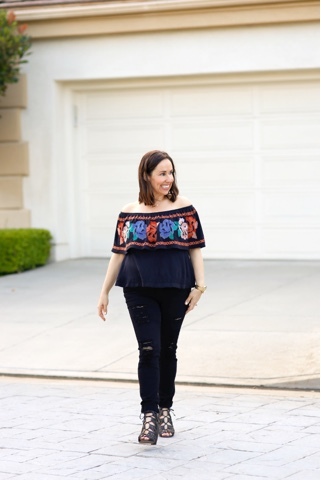 How adorable is this Free People off the shoulder top? (I cannot get enough of it and picked it up at Modern Romance). 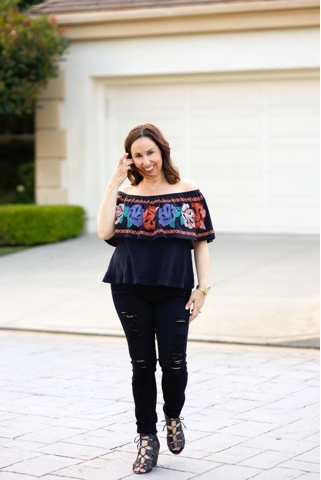 I don't know about you but I am obsessed with the off the shoulder shirt craze!! It is so on trend right now and I think it is a flattering look on everyone. I also love the embroidered details and fit too. I paired it with my favorite Frame denim jeans. I literally wear these all the time. They are stretchy and so comfortable. 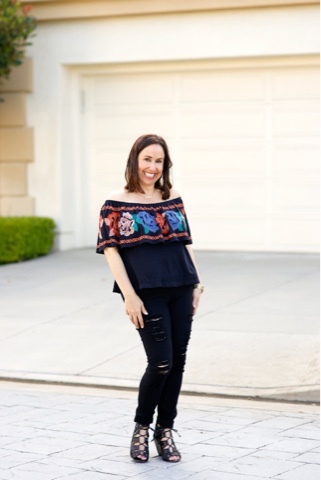 I added these Dolce Vita wedges and I was ready to go to the opening of Planet Blue in Newport Beach with some blogger babes. It's one of my favorite stores from LA and I'm so glad we are getting one here in Newport. 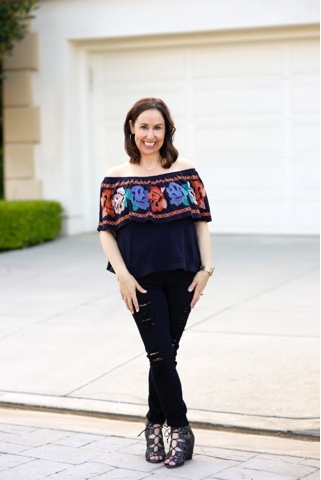 I wanted to share with you that I am now a member of the Rewardstyle Family!! That means you can sign up at www.liketoknow.it and have my ready to shop outfit details sent to your inbox after liking my picture on Instagram, or just click on the links above in my blog posts and you can directly shop my looks!! I'm so excited!!! 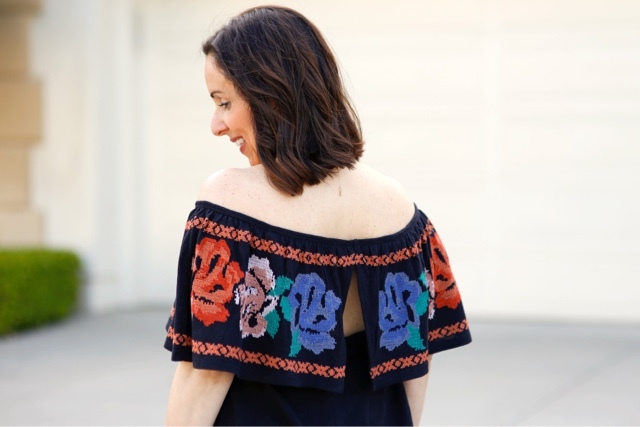 I hope you try out this off the shoulder trend and let me know what you think!! Thanks to Gabi Wells for photos and happy reading!!! !